This original series illustrating the Ten Commandments has firmly established Kieślowski’s international reputation. Each of the presented stories is linked to the theme of a particular commandment. Because of its form, all viewers are deeply moved by these movies, regardless of their views or religious beliefs. Asked on numerous occasions why he had chosen such a hard subject, the director replied curtly: “It’s worthwhile to be reminded of these ten very well written sentences. There needs to be a point of reference, a definitive criterion (...)”. 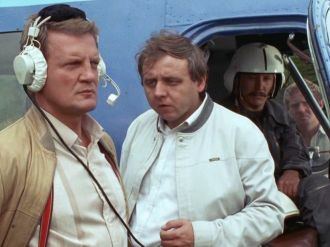 The series won numerous awards at film festivals and is one of the most recognizable Polish productions. 11-year-old Paweł is brought up by his single father. His mother lives far away, in Australia. Aunt Irena helps to raise her nephew introducing him into the world of faith. The boy asks his father and aunt questions regarding death, the meaning of life and God. 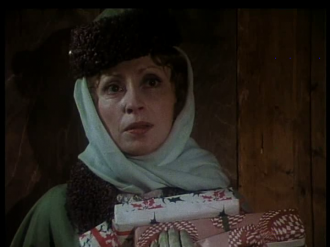 When Paweł is given in advance his Christmas gift – a dreamed pair of ice skates – his father in order to ensure the safety of his son calculates on his computer that the ice covering the lake in the neighbourhood is sufficiently thick to hold him. Going to skate finishes tragically for Paweł and Marek. The story, simple and dramatic, was inspired by an authentic experience of the co-author of the screenplay, Krzysztof Piesiewicz, whose son did not come back home on time one day. 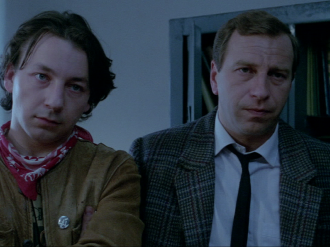 Not many authors writing about Kieślowski’s works notice that the first part of Decalogue is almost entirely a flashback, even doubled: the first character of the movie is a silent man played by Artur Barciś, sitting by a fire near the lake. An intense look of the witness of the accident gazing straight into the viewers’ eyes is very important. 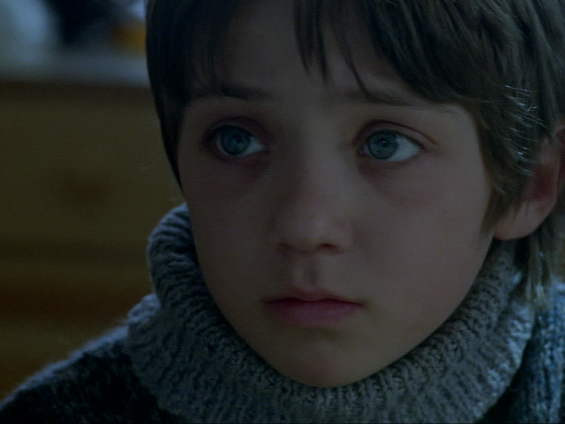 His teardrop, ambiguous, as it happens in Kieślowski’s films, is an answer for another teardrop: Irena’s, moved in front of the TV screen, on which her nephew shown in the reportage filmed in his school can be seen. The symmetry of teardrops also appears in the final scene of the film, when the boy’s death causes his father-agnostic to rebel (against whom?) and enter a provisional church – and also the sympathy of the Black Madonna whose face is covered with melted wax ‘teardrops’ dripping down the candle. The story about Paweł is the flashback of his aunt that finishes with the boy’s face disappearing from the screen. Artur Barciś closes this story of the Decalogue – and its next nine parts – in his look.